The problem with Hillary Clinton as a presidential candidate is not that she is a corrupt and dishonest politician, as her critics have charged. No, the problem with Hillary is that she is just as big a socialist as Bernie Sanders is. “We’re going to take things away from you on behalf of the common good,” she announced to a San Francisco audience in 2004, echoing the Communist Manifesto mantra, “from each according to his ability, to each according to his needs.” “We must stop thinking of the individual and start thinking about what is best for society,” she once proclaimed as First Lady. Such statements are a defining characteristic of the socialist philosophy: attacks on individualism in the name of the “common good” of “society” – always defined and enforced by politicians, never by society as a whole. And like Sanders, she threatens “the rich” with even more onerous taxes to be used to subsidize the working class (“working families” in the neo-Marxist language of one of her television ads). A current fad among the socialists of Europe is to propose some kind of “basic” government-defined income for the entire population. Switzerland just voted down this latest money-for-nothing scheme. Naturally, Hillary is all on board with it, having proposed giving every baby born in America a $5000 account that would be invested and given to the child upon reaching the voting age of eighteen. George McGovern proposed a similar, $1000 “demogrant” in 1972, which was dismissed and ridiculed as socialistic nonsense and may well have caused him to lose the election to Richard Nixon. In other words, Hillary is just as much a socialist as Bernie Sanders, only she doesn’t use the “S” word for marketing purposes. She prefers “progressive Democrat” instead, but that is not very convincing, even to many of her supporters. During a televised interview with Chris Mathews, she was asked repeatedly what the difference was between a Democrat and a socialist. She refused to answer the question, implying to many that she probably believes that there is no significant difference. 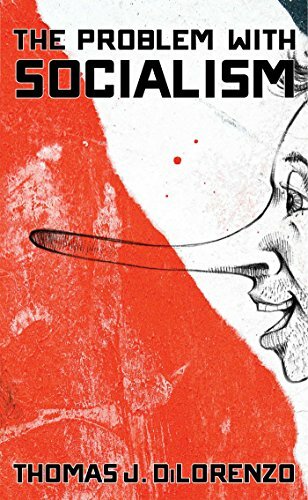 Socialist central planning, as such, has always been a perfect recipe for the impoverishment of entire societies while at the same time enriching and empowering a small political ruling class elite. How else could the thirty-five-year-old daughter of the late Hugo Chavez, the onetime socialist ruler of Venezuela, become the wealthiest person in that country with a reported net worth of over $4 billion? Hillarycare was a bureaucratic nightmare that would have forced most Americans to cancel their health insurance and obtain it from a government bureaucracy. It would have forced everyone to purchase a full array of government-defined benefits; it would have been managed from Washington by a board of seven presidential appointees and thousands of bureaucrats; access to physicians would have been restricted and controlled by bureaucrats, not patients; and all outside insurance plans would have been illegal. Price controls on everything from doctors’ salaries to MRI machines would have caused pervasive shortages; the plan would have required massive tax increases, mostly on the lower and middle classes, causing huge job losses (600,000 in the first few years alone according to the Clinton administration itself at the time); 59 new federal bureaucracies would have been created with 20 others expanded; and hundreds of new regulatory mandates would have been imposed on healthcare providers. 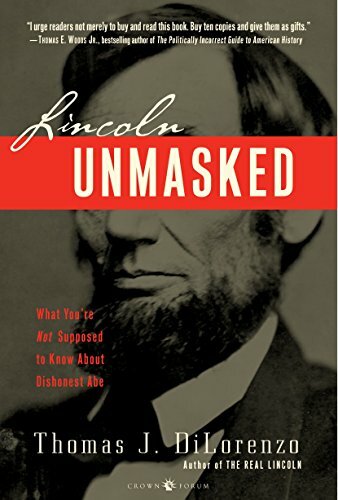 Lincoln Unmasked: What... Thomas J. Dilorenzo Best Price: $5.77 Buy New $7.99 (as of 06:00 EDT - Details) Insurers would have been required to charge the same rates to everyone regardless of age or health, making a mockery of the very word “insurance.” Costly employer mandates would have forced employers to lower wages and benefits and/or lay off workers; and state governments would have been forced to become “purchasing alliances” for the federal bureaucracy’s central planning scheme. Members of Congress and all federal employees were to be exempted from Hillarycare, however. Only the little people (i.e., everyone else) were to be corralled into socialized medicine. 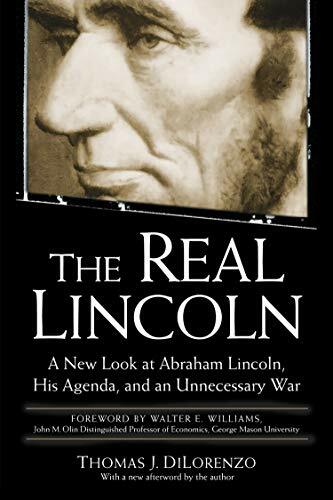 Perhaps “Obamacare,” which has resurrected parts of “Hillarycare,” has been imposed on the American public because so much of it – primarily the younger generation – is unaware of the grotesque failures of twentieth-century socialism. They should look at the current economic implosion of Venezuela – the latest darling-of-the-Left “socialist paradise” – to learn some important lessons.